Make a statement when you host your next event. 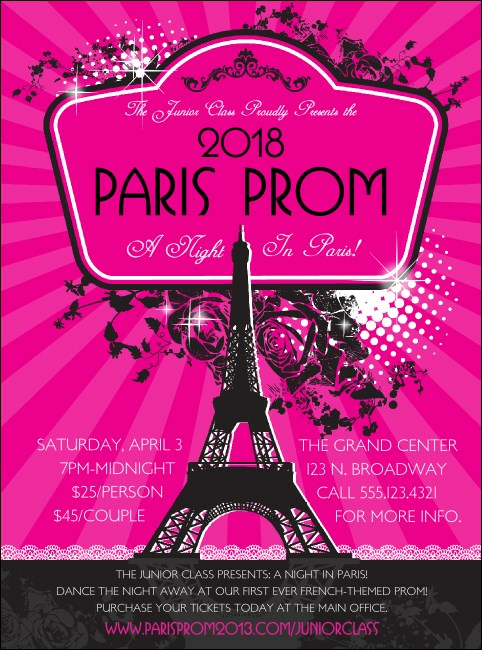 Whether you're planning a pretty in pink Paris themed event for high school prom or hosting the most fashionable Sweet Sixteen party of the year, the Paris Pink and Black Flyer will help you get the word out with style. On this flyer template, the silhouette of the Eiffel Tower provides the background for your custom text.